The touch and scent of a horse’s mane touches our primal memory. 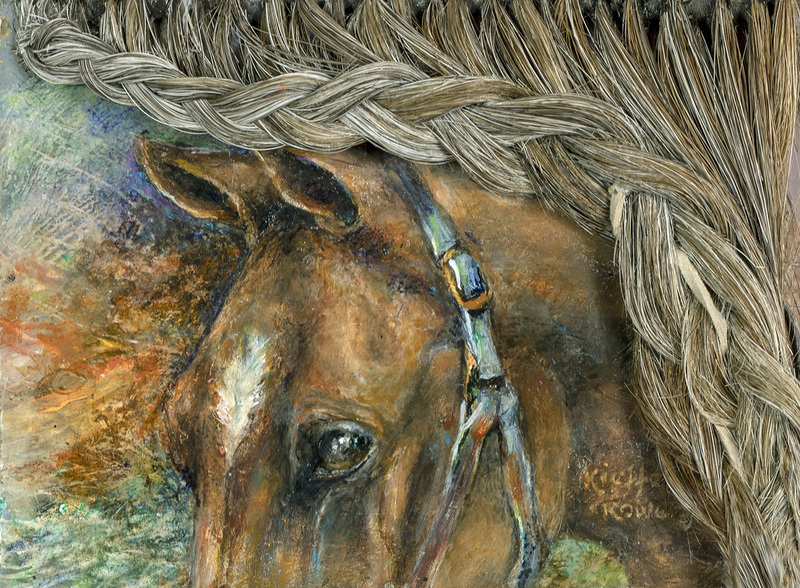 This visual image utilizes a running braid of horse hair that flows in three dimension. A partial glimpse of horse head is captured with acrylic paint.